After Sons Of Anarchy wrapped, Charlie Hunnam went from Prince Hamlet stand-in to King Arthur portrayer for Guy Ritchie. Along with playing that legendary warrior and ruler, Hunnam’s recently wrapped James Gray’s The Lost City Of Z, which is still slated for release later this year. 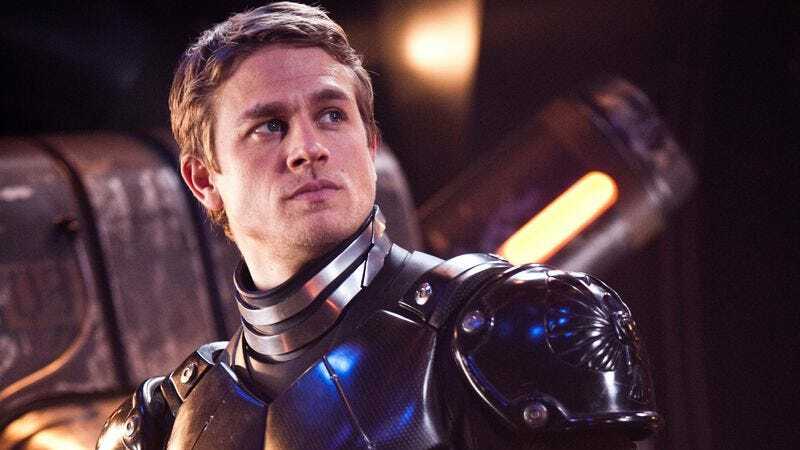 Between replacing Benedict Cumberbatch in The Lost City and helping give King Arthur a flashy makeover, it’s understandable that Hunnam would have very little time to consider a return trip to the Pacific Rim movies, which have had a little trouble becoming a franchise. But the stop-and-start fraught sequel is now reportedly, finally underway at Legendary, though without Guillermo del Toro at the helm. (“Where’s the fun in that?” we all mutter.) Unfortunately, all his royal and explorer duties have left Hunnam without any time to step back into a Jaeger for more rock ’em, sock ’em action. While promoting King Arthur: Legend Of The Sword at Comic-Con, Hunnam said his current commitments have left him unable to reprise his role as Raleigh Becket in Pacific Rim 2. And while that’s kind of a bummer, we’re still optimistic about the sequel, given that John Boyega will be mecha-suiting up for the film. The project also has a new director in Daredevil executive producer Steven S. DeKnight, and a release date of February 23, 2018.